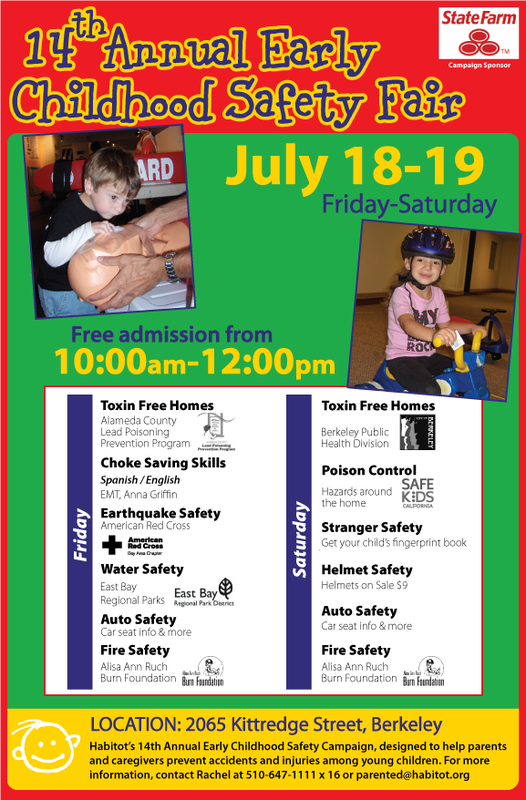 This weekend, Habitot is hosting its 14th annual early childhood safety fair. Details below on the flyers, but you can expect to learn about keeping your home toxic free, safety from earthquakes, water, strangers, fire, autos and poisons. They'll also have helmets on sale for $9. It's a free fair.